Some new bits have been added to the site. Been working on a new ruleset for a Star Trek Space combat game, so added a new section called "Other Games"
This will contain any new and usually unfinished rulesets I come up with. Been meaning to post these for a while, but was waiting for the official paint job for the large water elemental from Reaper Miniatures. I gave up waiting and painted it in Photoshop instead. Here we have 2 new monsters from the elemental plane. The large Fire elemental and Large Water Elemental. 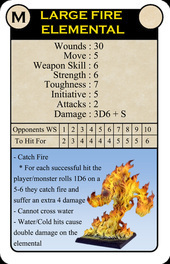 These can be used stand alone, or with the 2 level 10 spell cards provided. As soon as I see an Earth and Air elemental I like I will add these to complete the set. Giving another shout out to the guys at Battle Systems and their excellent terrain system. The more funds that can be obtained the more FREE and new items can be added. I have the Sci-Fi set and love it....the ease it goes together and how you can quickly throw a good looking piece of terrain together. 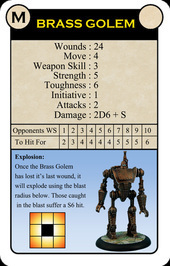 I love this stuff so much, that once the KS has ended I'll be making special WHQ style cards to go with the terrain. The idea will be to build a dungeon, but leave the rooms empty, when entering a room and possibly a corridor you will take a card and lay out the scenery....for example there a number of bookcases with the set, so one of the cards will be a library..another will be a catacombs. Drop on by and take a look, hopefully you can help the guys achieve great things. Hello, back last year I promoted a kickstarter for a young UK company called BattleSystems. These guys make card terrain that slots together (with a little prep work) to form an interchangable terrain system. The kickstarter was a success and having been part of it and recieved my terrain. I can tell you it is top quality stuff, and looks great, plus is fun to build. 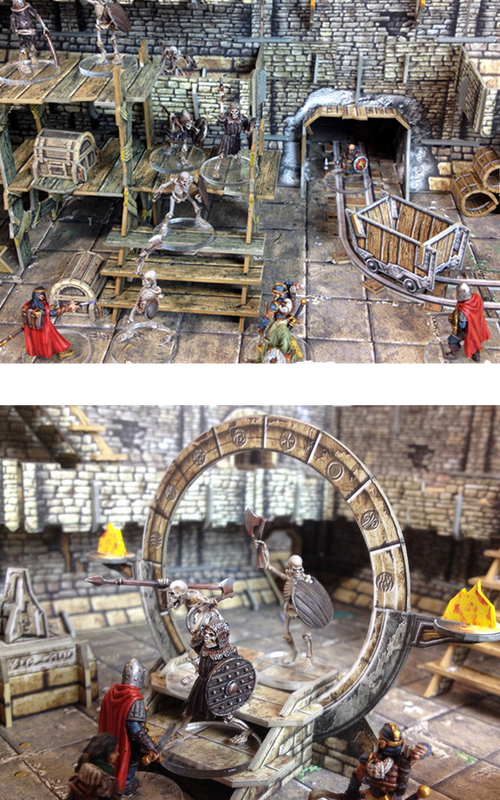 Well they are back and starting this week, is something that is going to be up all you guys streets, their fantasy terrain set. What's good about their sets are the walls are not attached to the floors, so you can use your own tiles, and use the terrain to add a 3D element to them. The kickstarter is due to start this week, either Wednesday or Friday, so keep your eyes out and I know there will be a lot of good stuff coming our way. 3 additional monsters - This time based around Automatons. Included is the large Brass Golem, the annoying Mirror Golems with their magical mirrors, and the cute but deadly Steam Dragons (watch they bite). These are available to download in the Monsters section of the download page.